As a youngster Fleetwood was a talented rugby union fly-half and was part of the Newent team that won the Gloucester Schools Cup. However he eventually decided that football was the better route after he scored 104 goals in one season for Newent youth. Fleetwood started his career at Cardiff City at the age of 12 when he joined the clubs youth programme, and eventually made just 1 first team appearance in two and a half seasons as a professional. He fell out of favour with the club during the 2005-06 season and was placed on the transfer list by the club. 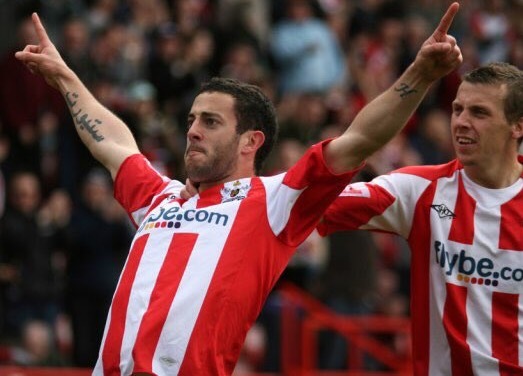 He signed for Hereford United in January 2006, and made a good start, scoring four goals in five league games. 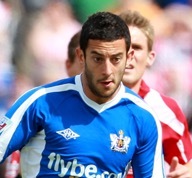 He featured as a substitute in the Conference play-off final win over Halifax Town. and subsequently signed a new one year contract. He made a promising start to the season by scoring Hereford's first Football League goal since 1997. In the League Cup he scored a hat-trick against Coventry City. He was also called up to the Wales Under-21s. In January 2007 he was sent out on a month's loan to fellow League Two club Accrington Stanley. Fleetwood signed for Forest Green Rovers in June 2007 and such was his goalscoring form that he was linked with several Football League clubs, this incldued turning down an offer from Crewe Alexandra. He ultimately scored 28 goals in 41 league appearances in the 2007–08 season as the club finished in their highest ever league placing. 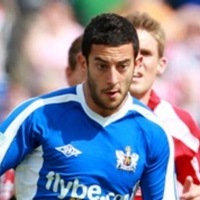 He joined Charlton Athletic on a three-year deal in June 2008, but theee months later was sent out on loan to Cheltenham Town. 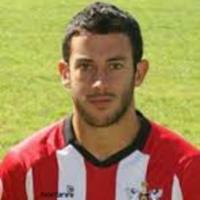 This was quickly followed by a loan spell with Brighton and Hove Albion. 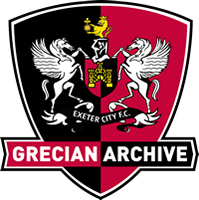 In September 2009, Fleetwood signed for Exeter City again, this time on a season long loan making his return appearance for the Grecians against Gillingham and he went on to make 27 league outings, scoring four goals. Fleetwood then rejoined Hereford United in July 2010 on a two-year deal. He finished the season as the Bulls top scorer with 18 goals, helping the club to survive relegation from the Football League. 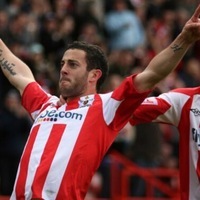 Conference side, Luton Town then completed the transfer of the striker just before the transfer deadline in August 2011. After two years at Luton, a change in manager saw Fleetwood released at the end of the 2012/13 season, signing for Conference South Eastleigh in July 2013. In January 2015, Fleetwood rejoined Forest Green Rovers, but left for Sutton United at the end of the season. In 2016/17 he was playing for Bath City. Playing 11 games before moving to Weymouth scoring 17 goals in 31 games. In 2017/18 he joined Merthyr and also played for Redditch where he scored 5 times in 2 appearances. In 2018/19 he signed for Swindon Supermarine.